Whether it’s Match.com, OkCupid, POF, or Tinder, sending that first message to a girl you really like and no response is one of the worst things about online dating. That’s a big reason why most guys give up entirely within just a few months. 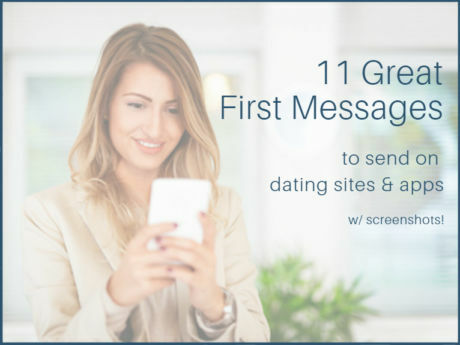 But don’t throw in the towel just yet – we’ve got 11 online dating first message examples that work like magic to get responses, and you can use them today! Not only will you get proven-to-work examples you can use right now, you’ll also get the online dating message tips you need to come up with your own unique conversation starters – and the best times to send them. Finding common ground is a pro move, because if you can make her think the two of you are similar she’s more likely to respond. Women are simply more comfortable around people who remind them of themselves. Travel makes an awesome subject for a first message because it’s something most women enjoy doing, or at least enjoy dreaming about. And who doesn’t like to at least think they have a great sense of adventure? 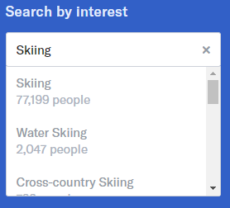 Many online dating sites like Match.com and OkCupid have keyword searches, so you can filter for women who also enjoy a certain hobby. So if you’re into skiing for instance, you can can send a message like example #3 to any interesting women who mention it in their profiles. Notice how it starts off with a light compliment. Complimenting her will often give you points, but only if you focus on intangible qualities like intelligence or her accomplishments. Don’t make the rookie mistake of praising her physical appearance. Tons of guys do it, and she gets tons of messages with some variation of “you’re hot”. Paying her a more meaningful compliment is a breath of fresh air for her. 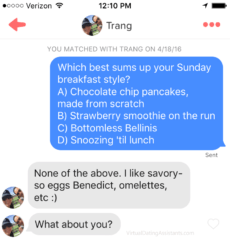 Mentioning something yummy-sounding works just as well on dating apps. 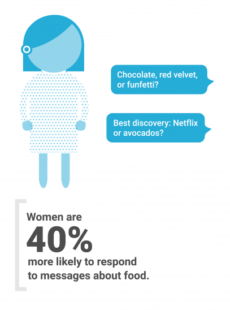 In fact, dating app Hinge discovered women are 40% more likely to reply to messages about food. It’s basic human nature to love talking about yourself. In fact, it literally stimulates your brain and makes you feel good. Ask her a question that gets her to share something about herself, and she’s instantly in her Happy Place. And the better she feels about talking to you, the more likely she is to share her number. They instantly pique her curiosity. If she doesn’t even want to keep reading, why would she bother responding? They set you apart from the crowd. Remember, if she’s getting tons of messages from guys just like you. You’ve got to out-message them every time. They ask her a question. You need to make it as easy as possible for her to respond, and controlling the conversation is a simple way to do it. Those three elements are crucial if you want to get a response to your online dating opener. Miss one of them, and she’s moving on to the next guy. To increase your odds of getting a response to your message, send them at a time it’s likely to be convenient for her to answer. Weekday evenings are generally best – many women unwind from a long day at work by firing up a dating app while catching up on Netflix. According to Nielsen, activity on both OkCupid and Tinder peaks at 9 pm, and usage starts to rapidly decline after 10 pm. On Bumble, the real action starts a little earlier, with activity peaking at 6 pm. In many cases, the increase was pretty dramatic. During winter storm Juno, activity on Hinge picked up by a whopping 47%, which led to a 56% spike in the number of phone numbers exchanged, and an incredible 96% increase in 2-way message exchanges. On OkCupid, a little rain translates to a 10% increase in activity on the site, and Juno prompted a 36% activity spike. On Match, activity typically increases around 33% during snowstorms, and big storms go hand in hand with a 20-40% increase in Bumble activity. No Response? Here’s What To Do Next! Of course, there’s no copy and paste message that’s guaranteed to work every time you send it. There’s a ton of variables involved, like your photos and your profile. If those aren’t top notch, our Ultimate Guide To Online Dating has all the tools you need to bring them up to snuff. Other variables you can’t control, like what she’s doing when she’s reading your message. If she’s sneaking a peek at her Match.com profile in between meetings, she may not have a chance to respond and forget to come back to it later. But if she still doesn’t bite, move on. The more messages you send, the more desperate you look. Besides, there’s plenty more interesting, attractive women out there so focus your efforts on them. 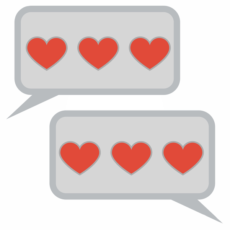 Now let’s talk about the elephant in the room: copy & paste messages. A few online dating “experts” will tell you they don’t work. 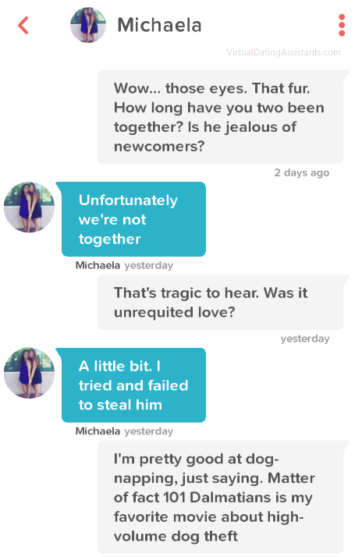 Women are too smart to fall for them. They’re a huge turn off. Blah blah blah. Those guys clearly haven’t done their homework. Here’s the truth in a nutshell. Statistically speaking, you’re looking at an uphill battle. The average guy has to crank out 114 messages in order to be 99% sure of getting one reply – and spend around 6.7 hours a week doing it. Given that fact, why would you spend tons of time scanning each and every woman’s profile, then writing a message customized just for her? That’s crazy – you don’t have that kind of time. There’s a much better way to beat those odds, and boost your response rate at the same time. Here at VIDA, we’ve been using the copy and paste approach since 2009. Not only do copy and paste messages work, but we get incredible results for our clients with them. Our in-house data doesn’t lie. Other industry experts recognize the wisdom of the copy and paste method as well. OkCupid’s Christian Rudder said using template messages not only saves you time in the short term, but they’re a more effective long-term strategy as well. 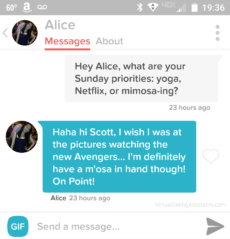 When your first message is interesting and creative, the odds are good she’s going to reply to it. Why? Because when you ask her a question that’s fun to think about and respond to, you’ve sparked an emotional connection. That’s the reason you’re not getting good results (if any) with first messages like “Hey” and “Hi there”. Where’s the fun in writing a response to that? And even worse, you’ve put the burden of continuing the conversation on her, so coming up with a response is work for her. The hotter she is, the more burdened with messages she gets, so she’ll only respond to the best messages in her inbox. Nothing kills your online dating game quicker than being dull. Meet More High Quality Women – Fast! We’ve shared 11 first message examples that work brilliantly, but that’s only the beginning. You’ll be getting a ton of responses, which means you’ve got to keep the conversation going and ask her out. You have to keep her attention every step of the way, and build attraction with every message. Yup – there’s a reason so many guys complain that modern dating is exhausting. You can skip all that stress, and go straight to the dates. With VIDA, it’s really that easy. Our online dating experts handle your profile, your photo, and all that tedious back-and-forth messaging. All you do is show up for the dates! Click here to find out more.